Ukraine’s charge d'affaires in Russia has been summoned to the Foreign Ministry where he was handed a note of protest in the strongest terms. President Vladimir Putin voiced extreme concern over Ukraine’s offensive, adding that it is unacceptable for Ukrainian shells to reach Russia's territory. The president said that such actions should be stopped, according to his press secretary, Dmitry Peskov. Putin met with German Chancellor Angela Merkel in Rio de Janeiro, Brazil on Sunday. The two leaders agreed that the situation in Ukraine in worsening and that it is necessary to resume the work of the international Contact Group on Ukraine. 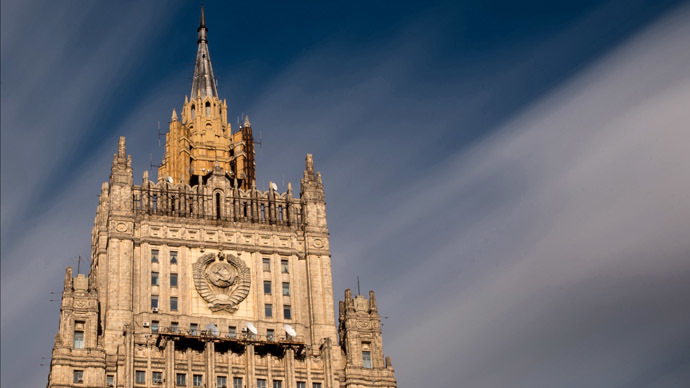 Deputy Foreign Minister Grigory Karasin promised a “rigorous and concrete answer” to the shelling of Russian territory that resulted in the senseless loss of life. “We’re currently evaluating the situation, and the facts we’ve learnt risk a dangerous escalation of the tensions on the [Russian-Ukrainian] border, which puts our citizens in high danger,” Karasin told RIA news agency, stressing that harsh reaction would follow only after detailed analysis of the situation. 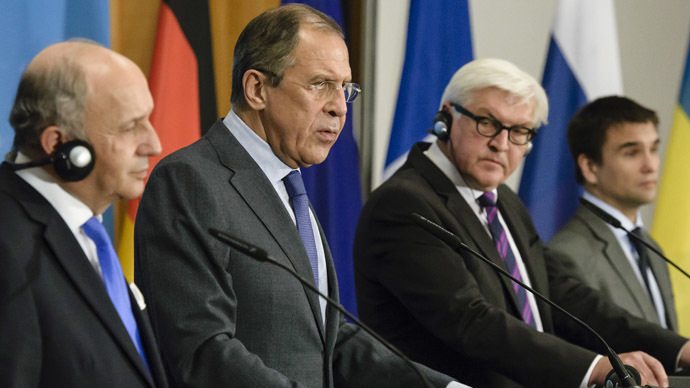 “Ukrainian troops are definitely not shelling the territory of the Russian Federation. 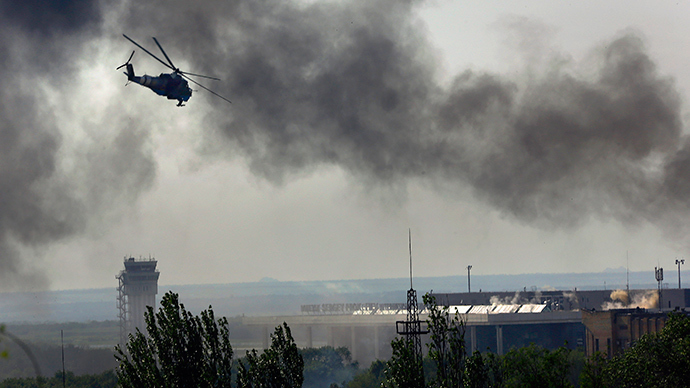 We did not shoot,” said Andrey Lysenko, official representative of the information center of the NSCU. The leaders of the self-proclaimed Donetsk People’s Republic (DPR) denied allegations of staging a provocation against Russian citizens. “We’re accustomed to being blamed for all Ukrainian shellings,” DPR’s vice-PM Andrey Purgin told Russian ‘Moscow speaks’ radio station. Authorities in the Rostov region have confirmed the death of a 46-year-old man and injuries to four civilians, including two elderly women. The man who died in a shell explosion was a father of four. One of the injured women suffered a shell fragment wound in the leg; another woman, reportedly 80-years-old, was shell-shocked in her house across the street from the explosion site. Russia’s Donetsk has a population of approximately 49,000 citizens and has the Donetsk-Izvarino border entry point in the city on the Russian-Ukrainian border. There have been a number of incidents lately involving Ukrainian troops deliberately shelling Russian border posts. On Saturday a vehicle, carrying a squad of Russian border guards, came under fire from the Ukrainian side at the frontier between Russia and Ukraine. Until today’s fatality, there had been no casualties, except for one Russian border guard suffering a head wound from a shell fragment. 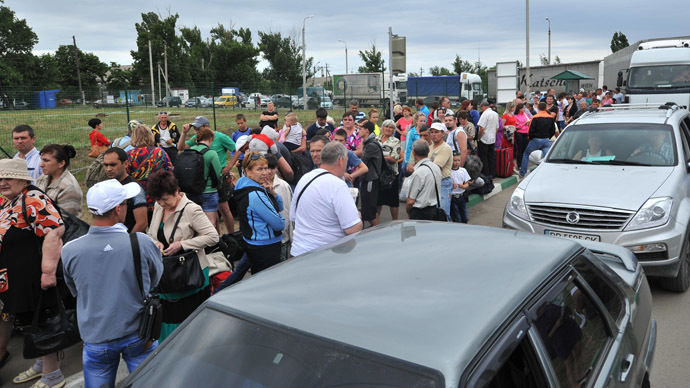 The Ukrainian army has sometimes shelled border checkpoints, while refugees from Ukraine were trying to get through passport control to find shelter on Russian territory. The number of incidents involving Ukrainian artillery shelling on Russian territory has increased of late. 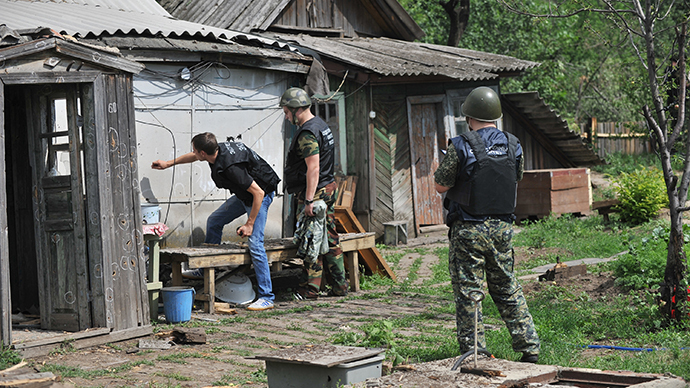 On July 3, the Novoshakhtinsk border checkpoint was shelled again. 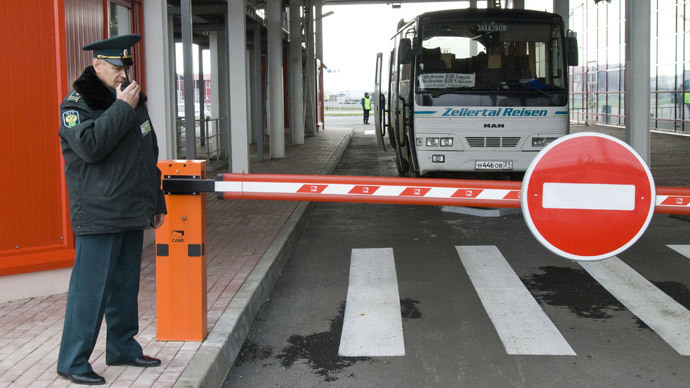 The next day, engineers and investigators, who came to disarm unexploded ordnances on the Russian side, came under mortar fire from Ukraine at the Donetsk border checkpoint. On July 5, about ten mortar shells exploded near the same border checkpoint.